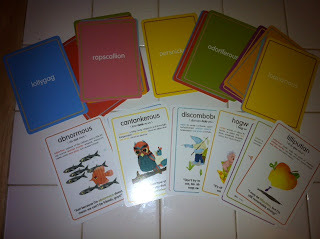 Knock Knock Is A Company That Specializes In Putting The Fun In Functional! With Great Gift Ideas Like A Personal Library Kit For The Book Lover In Your Life Or The OMG Sticky For Your Young One That Just Went Off To College! 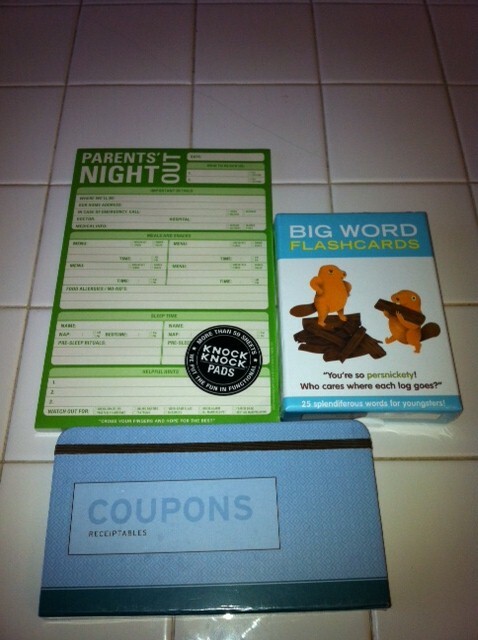 Knock Knock Has A Huge Variety Of Items That Are Fun & Help You & Your Family Get & Stay Organized! 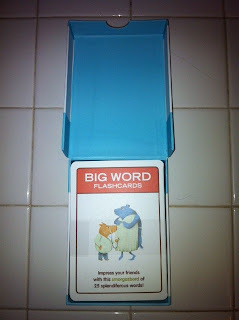 I Was Sent The Parents Night Out, Big Word Flashcards & Coupon Organizer From Knock Knock! The Parents Night Out Pad Is Perfect For Us! 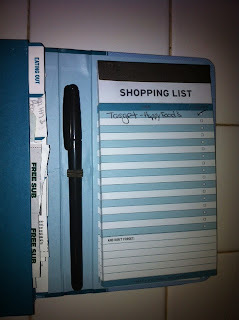 W/Two Children, One Being Special Needs I Always Have Plenty To Write When Hubby & I Go Out On Date Nights & This Helps Me Keep Everything Organized & Easy To Read For The Sitter! I Am A Big Fan Of Coupons, If We Are Going Out To Eat Or Just Going To The Grocery Store, I Have A Coupon For Everything! 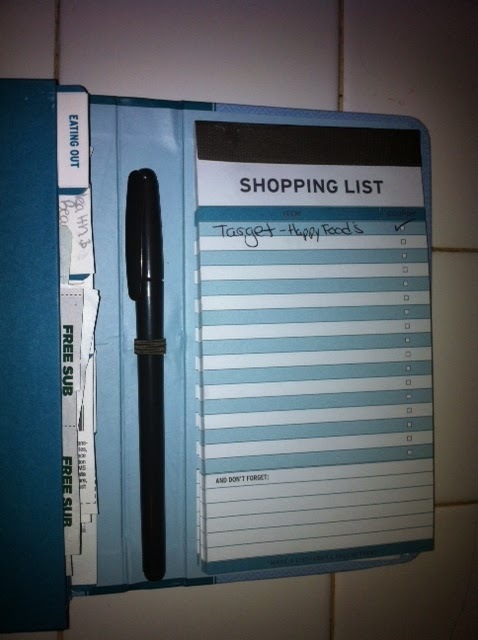 Thanks To Knock Knock, My Coupons Are Not Only Organized, I Have A Handy Shopping List In The Same Spot! No Searching For Paper Or A Pen, It's All Neatly Organized Together! It's Just The Right Size To Toss In My Purse & Go! 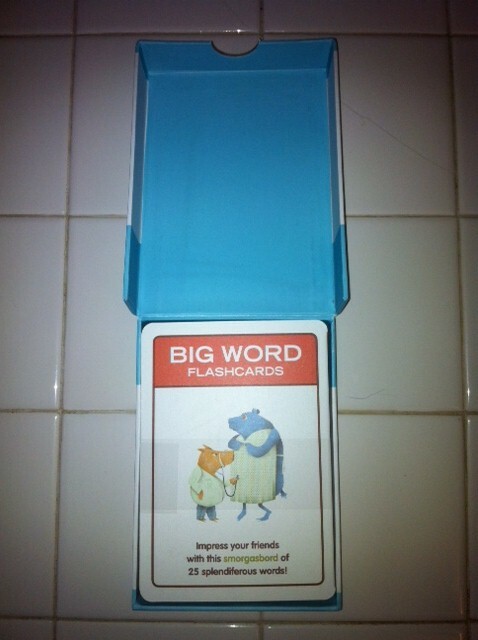 I Love Flash Cards & My Mother Used Them W/Me When I Was Growing Up & I Use Them W/My Kids Now :) Knock Knock's Big Word Flash Cards Are Colorful & Fun! W/ Words Like Abnormous, These Flash Cards Include The Definition & A Sentence For Example! 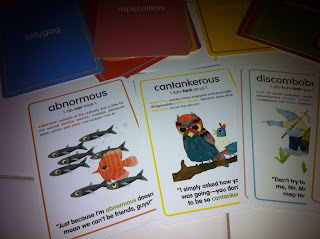 Big Thanks To Janessa From Thrifty Nifty Mommy For Sharing Knock Knock Products W/Me! Be Sure To Enter The Joint Rafflecopter Below! Buy It: Visit Knock Knock & Purchase Your Own Items Or Gifts! Win It: One Lucky Reader Will Win A Coupon Organizer From Knock Knock! I would love to have the Take out Menu Organizer! A great way to keep all of the numbers that I need in one place!